Evie S, a year 7 pupil at St. Mary's C.E. Middle, has organised a campaign alongside her mother to erect a statue of Mary Anning in Lyme Regis. She was recently interviewed by the girl museum website and the full interview, explaining her motivation and the project, can be found by following the link below. Evie has also very recently had an article posted on The Times website. The link to this can be found below. We will be having an assembly during this term to tell pupils about this project and to ask pupils and parents to get involved in the campaign to choose a face/personality for the new £50 note. 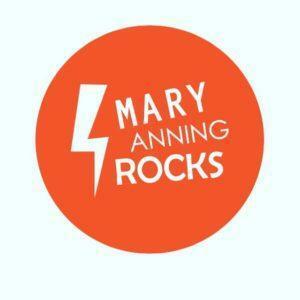 Evie, and the rest of the Mary Anning Rocks Team, would like to see her featured on the newly created note. In Evie's mum's words "Who better than a working class, uneducated, female scientist who changed the way we think about the origins of our planet and how life evolved on it". If you would like to get involved in this nomination process, which closes on December 14th 2018, please click on the link below. We done Evie for getting out there and campaigning for what you believe in. We will keep you posted on this project as we get further developments.